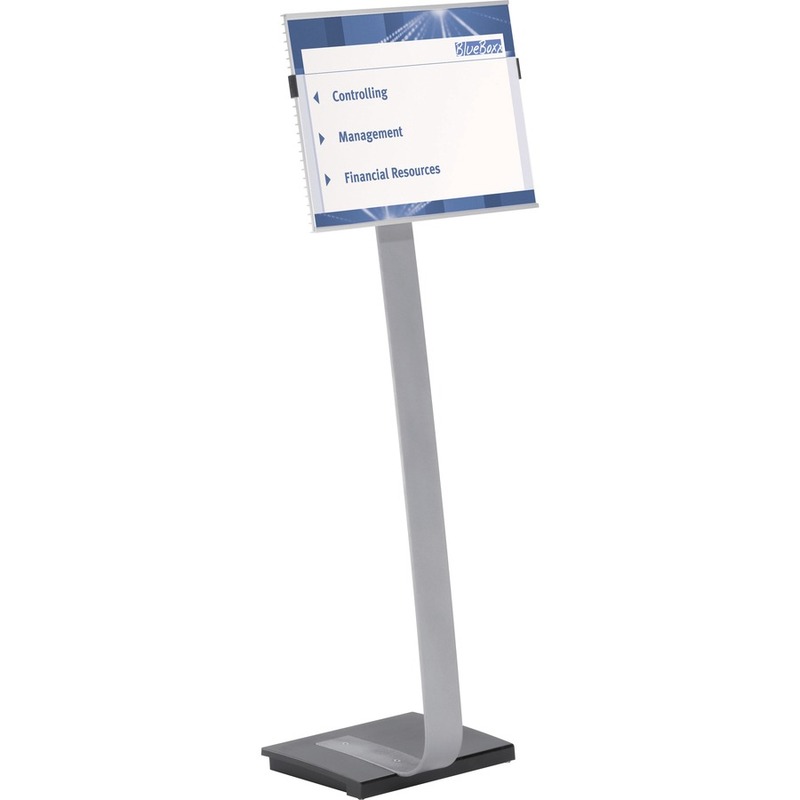 Dual function commercial grade sign stand with 11""x17"" display panel offers a heavy cast iron base to prevent tipping. 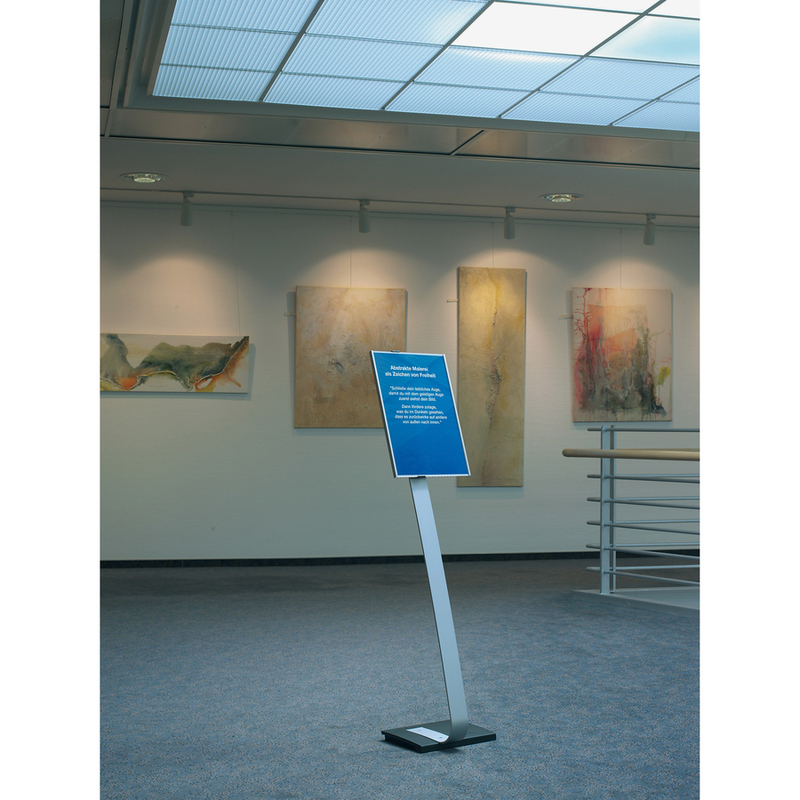 Display panel effortlessly rotates for either portrait or landscape viewing. You create and print signs in-house. 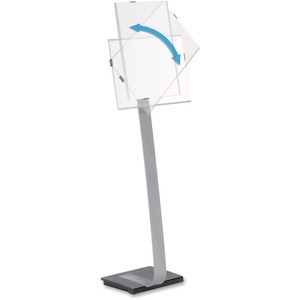 Crystal clear acrylic front panel protects your signs, removes in seconds to change them. 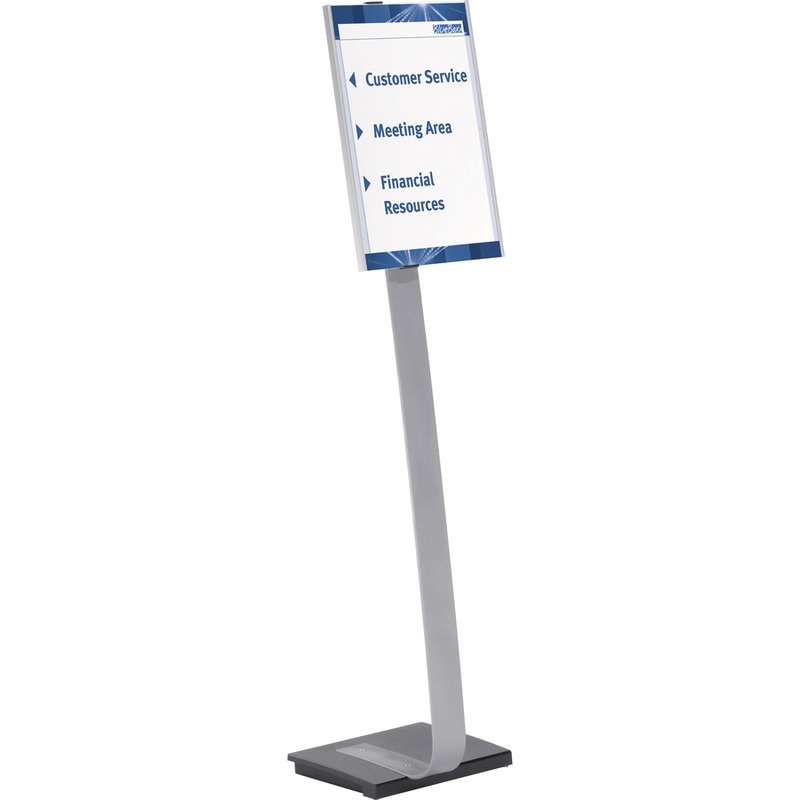 Sign stand features sleek, stainless steel architectural design.